Hey, y'all! 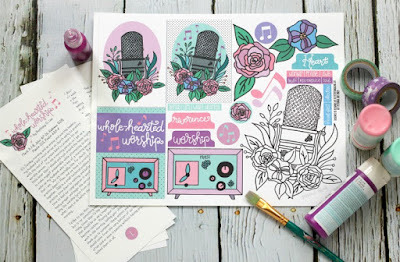 If you haven't noticed yet, I LOVE making freebies to share with y'all. Sometimes I create things I think you'll like, and sometimes I create things for myself that I share with y'all. Today's freebie falls into the latter category. 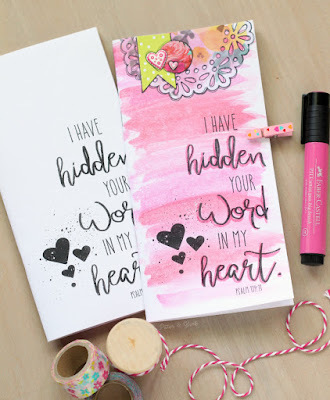 I'm sharing some FREE printable Bible verse cards with you! One of the last Bible studies I did was The Armor of God by Priscilla Shirer. The study is really great; I highly recommend it. One of my main takeaways from the study is that being in God's Word daily and meditating on His Word changes our hearts, minds, and lives. I try to read my Bible daily, although sometimes I fail. But one thing that I haven't done in years is memorize scripture. 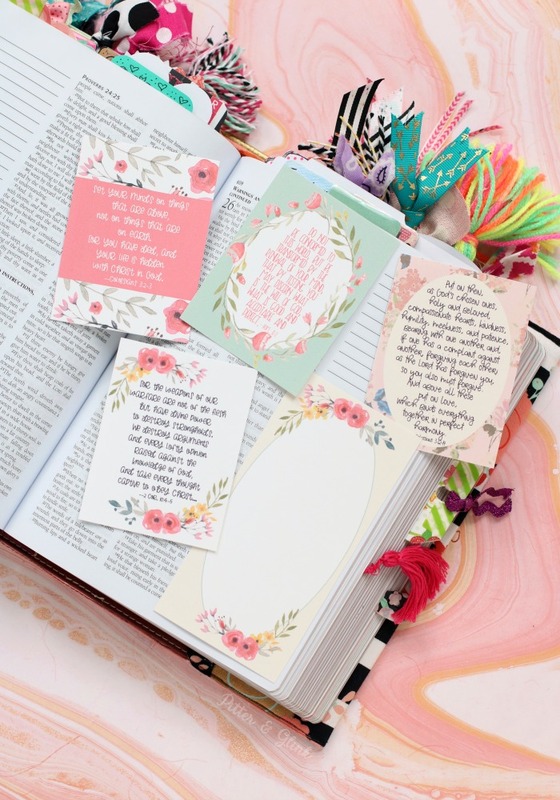 I went to a Christian school from kindergarten through twelfth grade, and I can remember being a tiny little girl learning scripture from flash cards. Yes, I had alphabet cards to learn my letters, but I also had cards that featured verses to memorize, one for each letter of the alphabet. "A, All have sinned and come short of the glory of God." "B, Believe on the Lord Jesus Christ, and you shall be saved." It's crazy to think that I still remember some of those verses from so long ago! 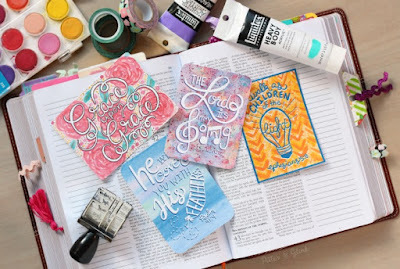 Having God's Word memorized like that helps when we are sharing our faith with others or even when we need a reminder ourselves of some of God's promises. So I decided that I needed to start memorizing scripture again. I chose some verses about my mind and the type of person I should strive to be, and I wrote them on notecards. But, y'all, I hate my handwriting! Yeah, I can hand letter when I work at it, but my regular handwriting is pretty atrocious. 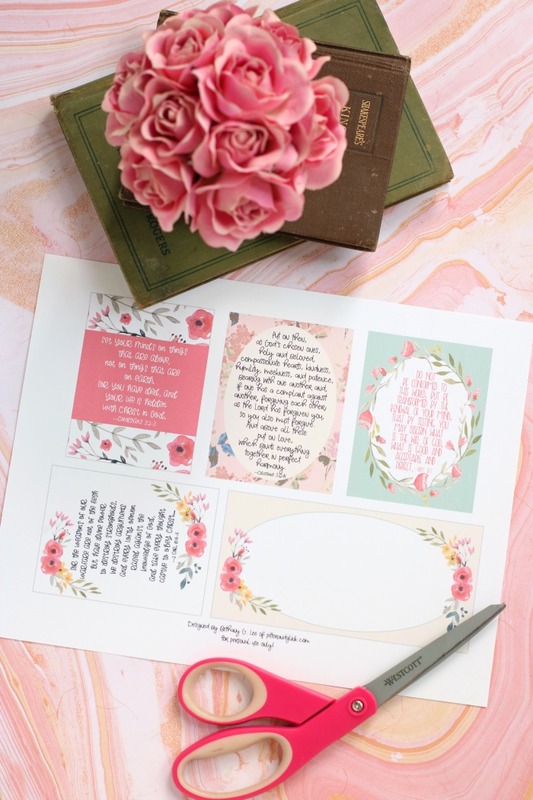 I decided to take those verses and make some pretty floral scripture journaling cards with them that I can meditate on and even paste places where I will see them daily. 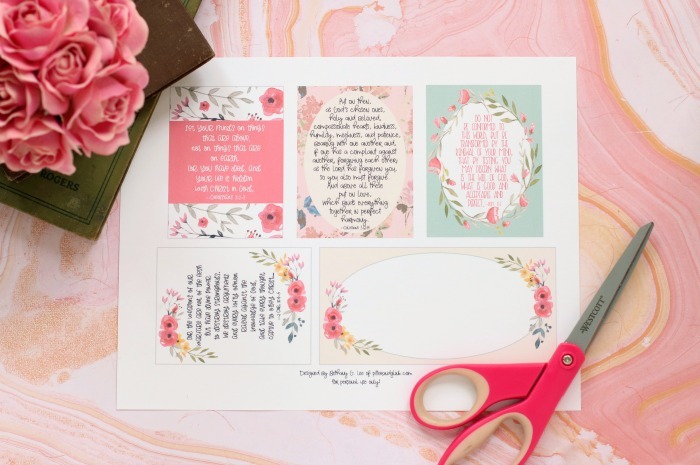 I made four cards with four different verses, and because the printable looked weird with only four cards, I also made a little blank card that can be used as a Bible journaling tip-in. Download the FREE Printable Scripture Verse Journaling Cards HERE. Thank you so much for sharing these. 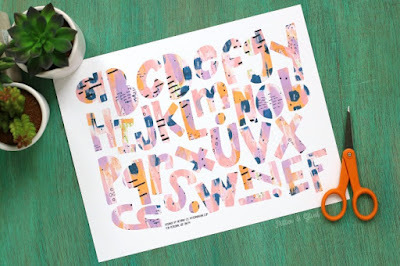 They are beautiful and so helpful. My tip for memorizing is to write the verses out. I know it seems strange when you have designed these for us, but I remember things I've written better than those I've read! 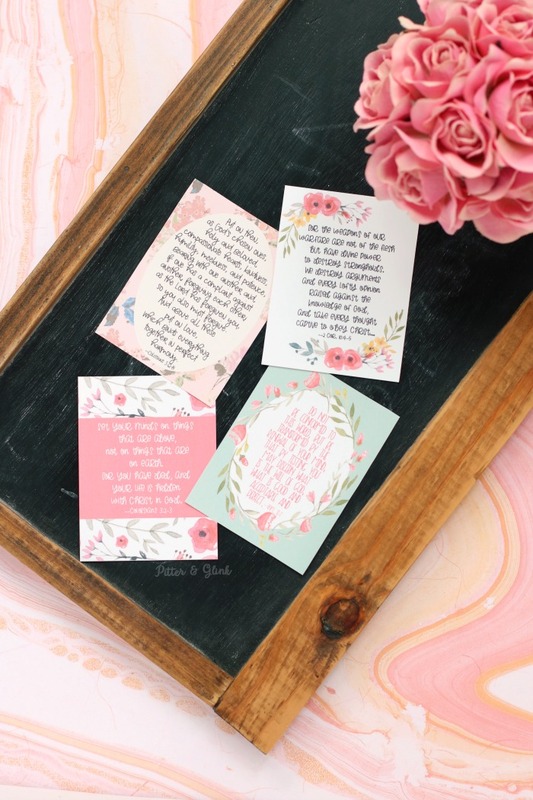 Thank you...these are beautiful, and great verses to memorize! You are an angel. No one, and I mean no one offers these for poor people like me, for free. 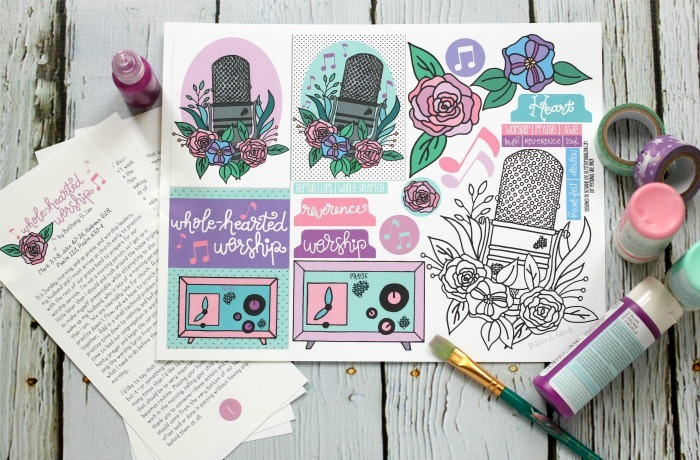 Y'alls hard work pays off in the fact that so many who love to make things pretty in worship get to enjoy them. Ty. God bless you.